Carnival Cruise Line's 2,124-passenger Carnival Pride will return to the Port of Tampa to operate a series of five- to 14-day voyages in January and February 2017, providing consumers with an exciting variety of "Fun Ship" vacation choices from this popular Florida port. Carnival Pride has undergone a multi-million-dollar renovation that added consumer favorites like Guy's Burger Joint, developed in tandem with Food Network Star Guy Fieri, the full-service Bonsai Sushi, and BlueIguana Cantina serving authentic Mexican fare, along with innovative beverage concepts like the cocktail pharmacy-themed Alchemy Bar, the Caribbean-inspired RedFrog Pub, and the poolside BlueIguana Tequila Bar and RedFrog Rum Bar. A massive WaterWorks aqua park highlighted by Green Thunder, the fastest and steepest water slide at sea, was added, as well. "Tampa is a popular port for 'Fun Ship' cruising and we're thrilled that the Carnival Pride is returning to the port to operate this series of five- to 14-day cruises which feature visits to top destinations in the Caribbean, Mexico and Central and South America," said Christine Duffy, Carnival's president. "These cruises also provide our valued travel agent partners with exciting new vacation choices to market to their clients," she added. 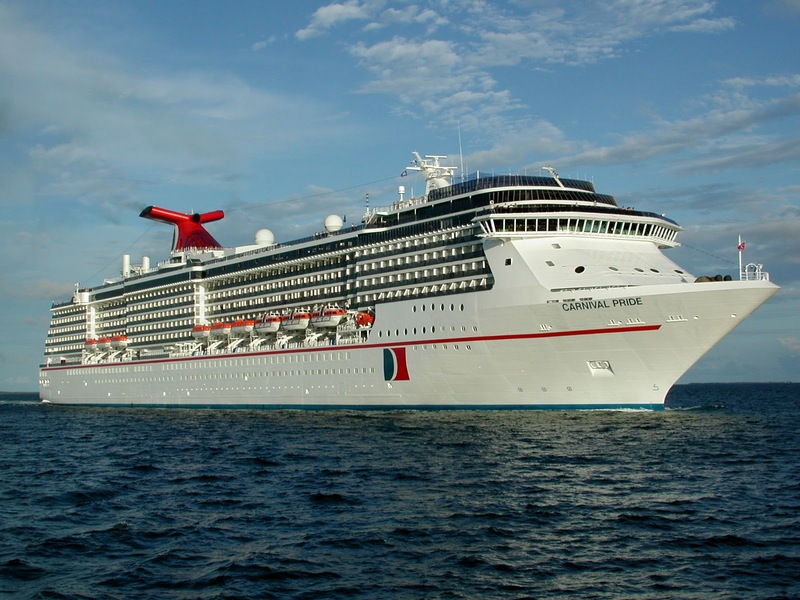 Prior to its deployment to Tampa, Carnival Pride will operate a 13-day Carnival Journeys cruise departing Baltimore Jan. 2 and arriving in Tampa Jan. 15, 2017. Ports of call include Grand Turk, B.W.I. ; Cartagena, Colombia; Colon, Panama (including optional excursions to the Panama Canal); Limon, Costa Rica; Mahogany Bay; Cozumel and the Caribbean's newest destination, Amber Cove in the Dominican Republic, which serves as the gateway to one of the world's most breathtaking cruising regions.